Thanks to a helpful suggestion from Vaalintine (and the resulting in-character moment of inspiration), Charles has found a reasonable way to fake having some third-circle souls for Aden; he’s building some high-powered manses to take that role. That ties in with his geomantic focus, his associations with building things, his love of manses – and (thanks to his intended design) his obsession with thaumaturgy and sorcery (the distinction is not entirely clearcut in the Chronicles game). Fortunately, designer manse powers are explicitly allowed. Integrated Enhancement Artifacts (-3): This is an inverse set of Integrated Utility Artifacts – a set of three self-powered artifacts with no attunement cost rated at the manse rating and designed to permanently merge with the manse and enhance it. Installing a set of Integrated Enhancement Artifacts provides a manse with three extra creation points to spend elsewhere. A manse * or ** can be enhanced in this way once, a manse *** or **** can be so enhanced twice – and manses rated ***** plus can be enhanced three times – although designing and building nine unique rating-***** artifacts to get an extra nine manse creation points is rarely all that worthwhile. Unless, of course, you’re Charles – and are capable of getting a hold of unique rank-5 artifacts in very short order, and regard few prices as being too high to pay to improve a Manse. 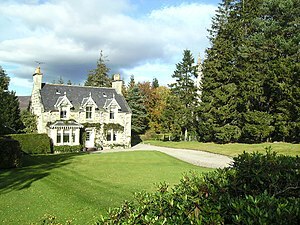 You can buy a manse like this as a starting character if you wish – just spend 1-3 more background points on it to represent improvements, just like buying the “hidden manse” merit. It usually isn’t worth it unless you’re playing a high-powered game though. This can also be used to represent manses constructed with massive quantities of magical materials, or built around some natural magical wonder or some such. The complications of working such things into the delicate geomancy of a manse are generally equivalent to designing the relevant artifacts in any case. There are a few other ways to boost a manse. The most classic is through using Inauspicious Citadel or Infernal Bastion – both of which are likely simply methods of tapping into an existing network of geomantic relays; the ones in the manses of a Primordials (or Neverborns or Yozi’s) world-body. You can also use various charms, such as The Dragon Vortex. Those do tend to be pretty specialized though. Finally, of course, you can run around fine-tuning the geomancy. This involves adding small sculptures of magical materials, setting up mirrors, adding small runes and symbols to the walls, and other tinkering – which can result in adding up to (Occult – Manse Rank) manse creation points which may be spent on essence-fueled powers, exactly as if you were adding points via geomantic relays. Unfortunately, such tinkering requires expensive components, is very fragile, and needs near-constant maintenance. Once again, it’s rarely worth the trouble. Staff Artifacts (1-3, Aden Favored): These integrated artifacts benefit the Manse’s integral staff – whether Servants or Guardians, granting each of them the equivalent of (Manse Rating -2) (1), (Manse Rating) (2), or (2x Manse Rating) (3) “inherent” artifacts. Sadly, no single “artifact” included in this function may exceed rank four or the rating of the manse, whichever is less. This ability may, however, be taken more than once. Guardian Loa (3, requires Guardian Force and Geomantic Nexus, Lunar Favored): Three members of the Manse’s Guardian Force are actually the disembodied consciousness of the manse; build them as second circle demons/spirits/gods with no need for physical attributes. They gain the benefit of any Integrated Utility Artifacts designed to provide personal enhancements and may remotely “possess” and act through other manse guardians. “Ridden” guardians gain +2 to each attribute (using the higher mental attribute as the base), the benefits of any Integrated Utility Artifacts (as above), count as being within the manse, share their mote and will pools and charms, and require only half the usual number of ticks to complete actions. Harming the manse, or those attuned to it, is an unacceptable order. For (+1) any mental effect or UMI must successfully target both minds at once to work on a ridden guardian and all three manse minds must be targeted to successfully affect the manse. For (+1) they can control the attunement of the manse and/or hearthstone, attuning to any willing target, un-attuning any target (willing or not), preventing attunement, or even recalling or detonating the hearthstone as desired. For an additional (+1) they may exert their powers through the hearthstone. Personal powers work normally (although anyone both attuned to and touching the hearthstone cannot use charms to defend themselves; they have already linked their essence directly to the stone. This also means that any destructible artifact may be destroyed if the heartstone is socketed in it) and extending the powers of the manse to the bearer (with a zone of influence this extends to anything up to a radius of ten feet per rank of the hearthstone, with an extended zone of influence it’s up to fifty feet per rank). Thaumic Resonace (3, requires any other thaumaturgy-boosting power, Lunar, Solar, and Aden favored): A manse with this ability feeds extra motes into thaumaturgies and Sorceries cast within it, providing (manse rating-1) bonus successes. For (+1) the manse can channel power from geomantic relays into sorcery and thaumaturgy – providing up to (4 x Manse Level) additional bonus successes at the cost of one energy point each. For (+1) the manse can provide an additional (manse rating +1) successes in a specific thaumaturgical art or (for those using the first edition version) science. For (+1) the manse may add a set of Greater Magical Conveniences related to Thaumaturgy or Sorcery. Thaumic Puissance (4, Lunar, Aden Favored): The residents thaumaturgy is unnaturally potent. It requires an opposed essence check to dispel it with countermagic, the caster gains +3d against Terrestrial Circle Countermagic (but suffers a 3d penalty against Solar Circle Countermagic) and residents will find that they can stack one thaumaturgic effect with charms, artifacts, and other sources of power. Their thaumaturgy is cast using the Advanced Thaumaturgy System, whether or not the character would normally have access to that system, and with a +(Conviction) die bonus. Dance of the Dragon Lords (4, Solar Favored): The manse amplifies the essence of those within it, and makes it easier to channel – allowing them to access normally-unavailable abilities. The may affect everyone within the manse, those attuned to the manse, only the hearthstone bearer, or some other group if combined with control systems. The first incidence of this power provides those within the manse with a +1 to their effective essence and allows them to buy it up beyond their normal limits – although the extra essence, and any abilities dependent on it, only work within the manse. It also provides those within the manse the ability to use three additional charms – although the charms must be selected from among those to which the user normally has access (for Mortals, Martial Arts and Spirit Charms) and the user must fulfill all of the usual prerequisites – although charms bestowed by this power do count towards them. Unfortunately, this function is only partially cumulative; if you happen to (somehow) be exposed to it more than once, the second incidence only provides +3 charms, the third +2 charms, and the fourth and fifth +1 charm each – while further incidences provide no benefits at all. Once selected, the bonus charms are fixed until the user buys one of them “for real” – which frees up that slot for another charm. After your comment on the location of Aden (Elsewhere), I can safely state that aside from Charles’ gates, there is no canon charm that could allow entry into his world body. This is assuming that when he dismisses the gates into Aden they dissipate entirely, instead of simply becoming inactive. If this is so, then Aden is effectively impregnable. For good or ill, in most of the local games, unless you’re playing a sidereal, custom charms tend to outnumber canon ones.